The recommended dose of Solifenacin Succinate is 5 mg (one SoliderTM 5) once daily. If the 5 mg dose is well tolerated, the dose may be increased to 10 mg (one SoliderTM 10) once daily. SoliderTM 5: Each box contains 30 tablets in blister pack. 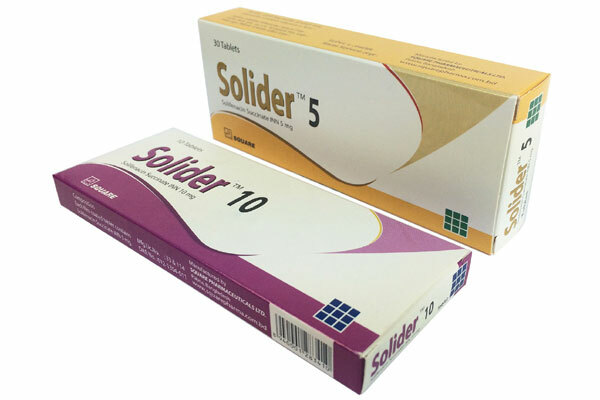 SoliderTM 10: Each box contains 10 tablets in blister pack.